Craft in America » Libby O’Bryan & Sew Co.
Libby O’Bryan & Sew Co.
Libby O’Bryan is the owner of the manufacturing enterprise Sew Co., preserving the skill of sewing and domestic manufacturing economy. 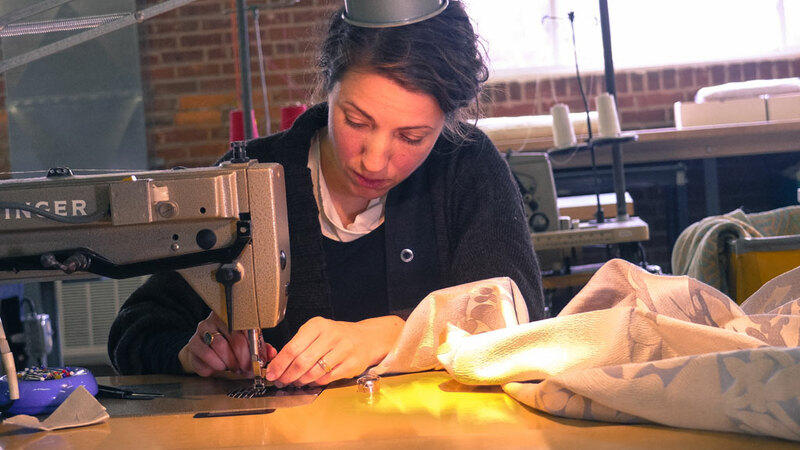 Sew Co. offers sewn product development, cutting and sewing services of discerning quality with socially responsible and unconventional business concepts. Sew Co. gratefully shares a roof and a vision for progressive production with The Oriole Mill in Hendersonville, NC. 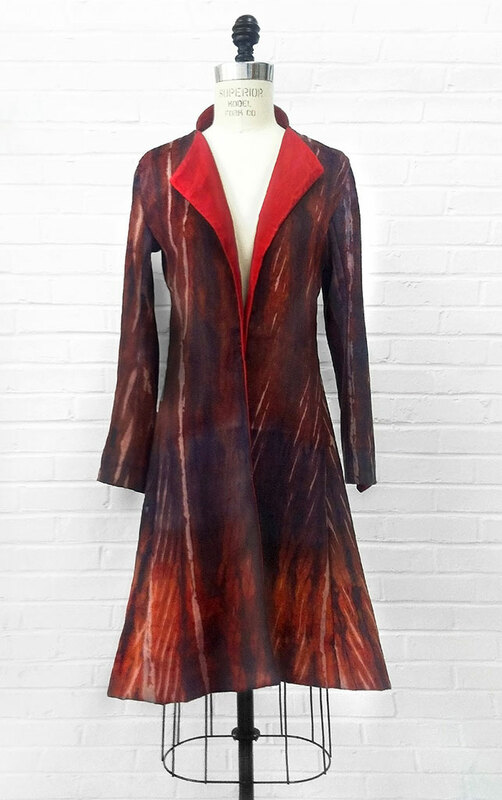 O’Bryan developed her practice following a career in New York City’s fashion industry with degrees from the Fashion Institute of Technology and the School of the Art Institute of Chicago. Informed by her career in apparel production, O’Bryan creates environments that function outside the commodity driven marketplace as a container for the contemplation of everyday decisions and cultural norms. Drawing parallels from craft, the new art economy, and mass-production, O’Bryan explores the relationships and disconnections between maker, machine, and consumer.